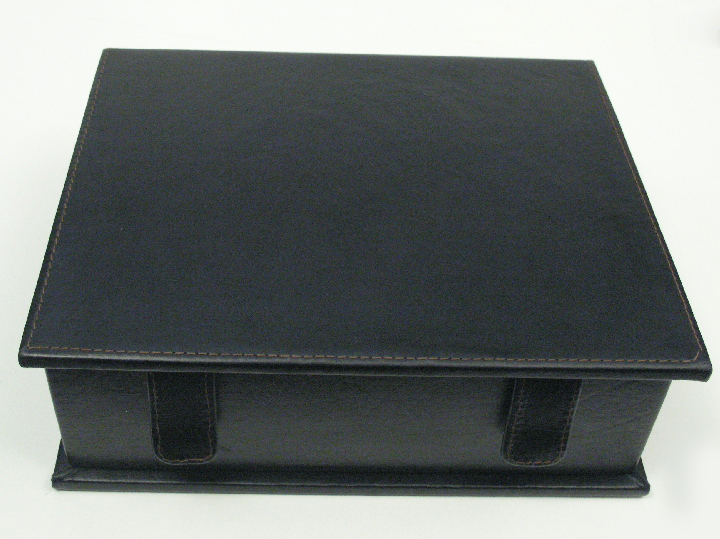 Leather Chess Box 10 inch x 7 inch x 4 inch. 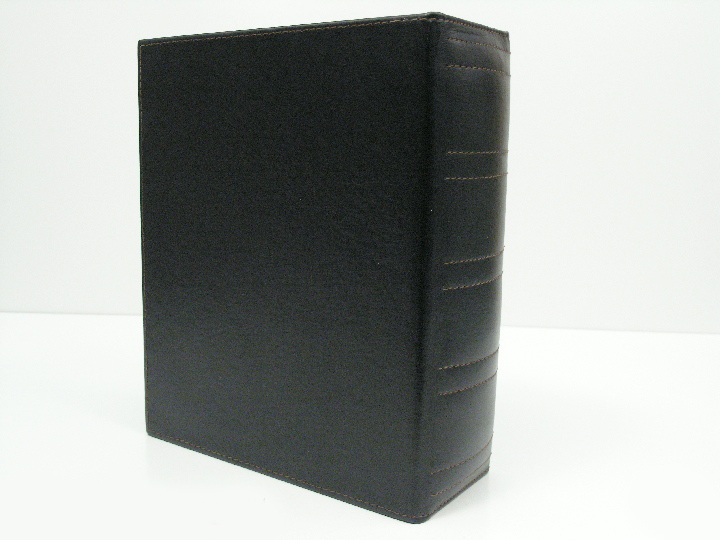 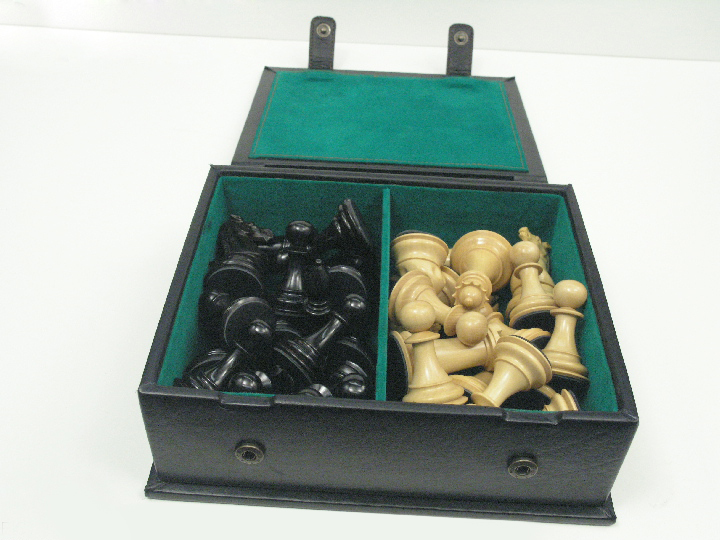 This product from Chess Baron: Superior quality leather chess box. 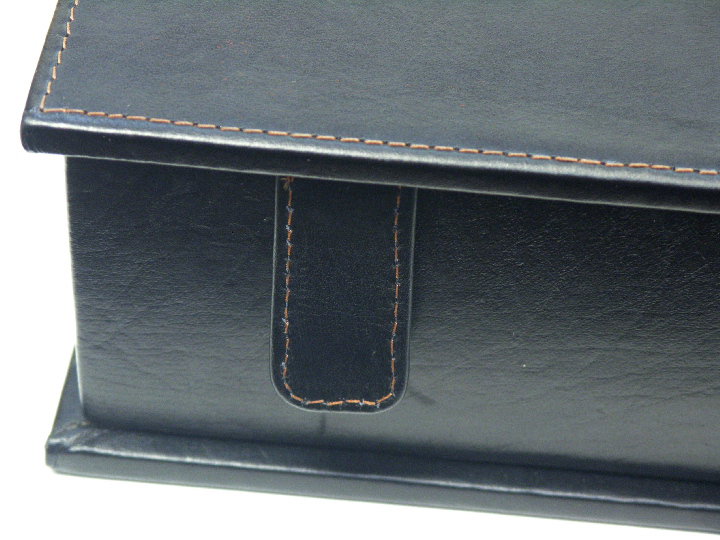 Excellent construction. 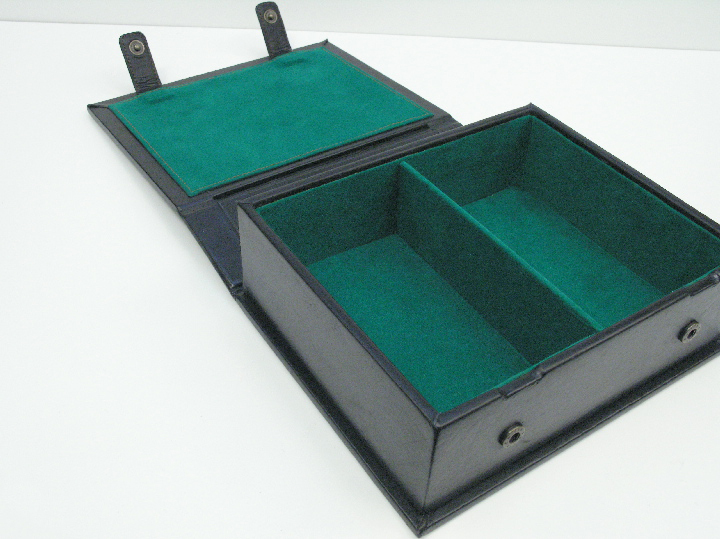 Allows storing room for sets with 4 inch king or less. 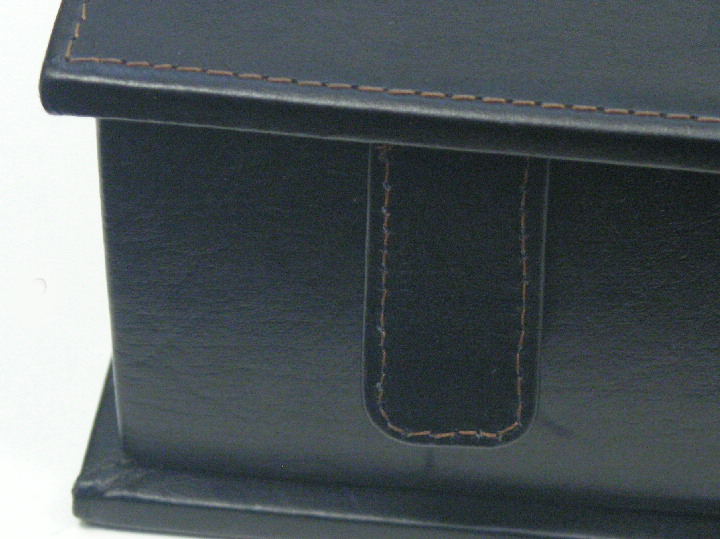 Box has a lovely leather smell that lasts for months. 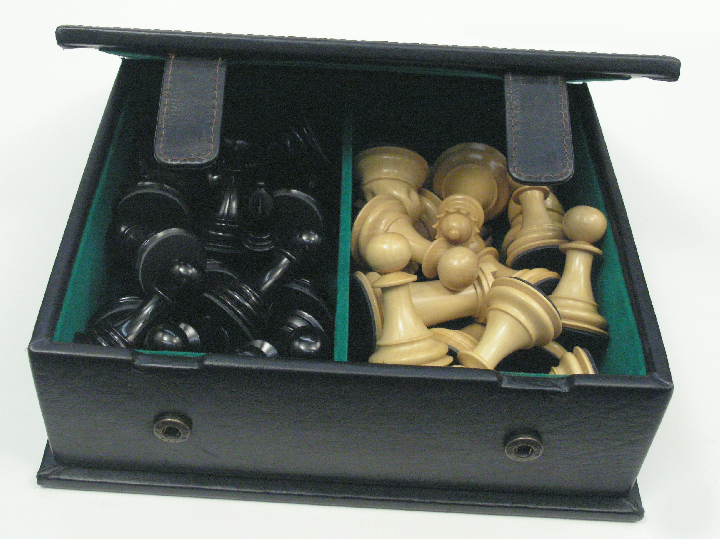 It has a look and feel of sturdyness and quality with excellent fastenings suitable for many chess sets accross all the range. 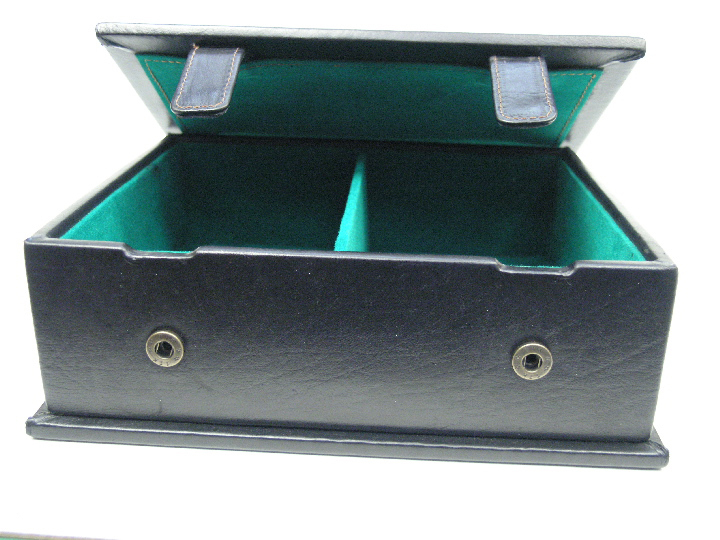 The interior has a felt lining which also provides cushioning for the pieces. 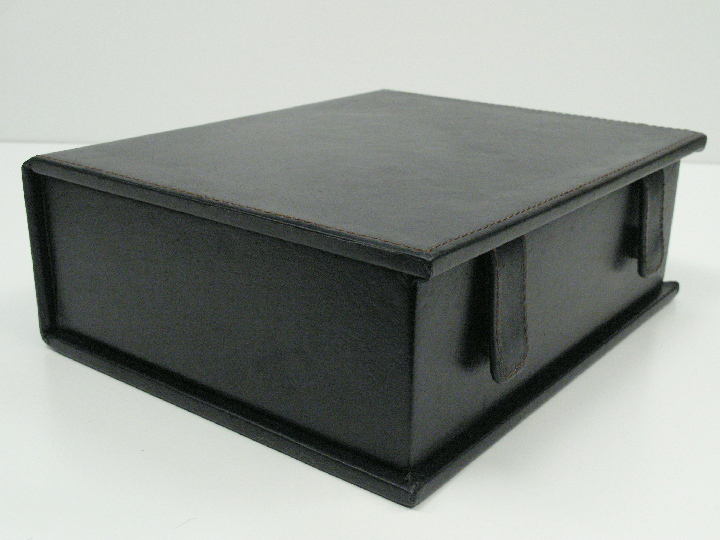 This is a leather chessbox which is very reasonably priced at the level of quality in the product. 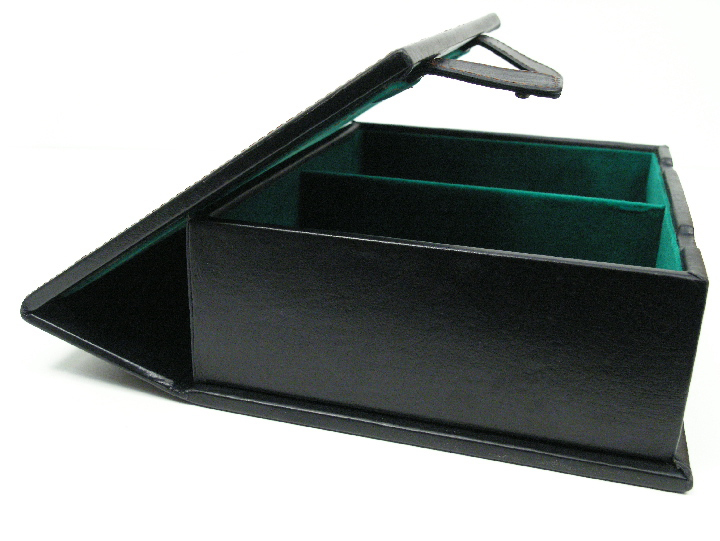 The weight of the box is just a little over 783g.